It was time for me to to make something that was a little smaller with a lot of functions. 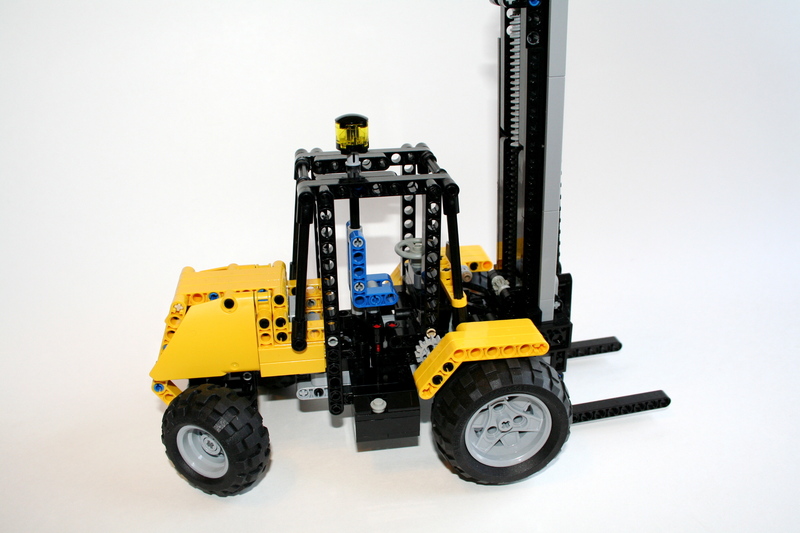 I kept driving by a JCB forklift on the way to work, and I thought I could make that. 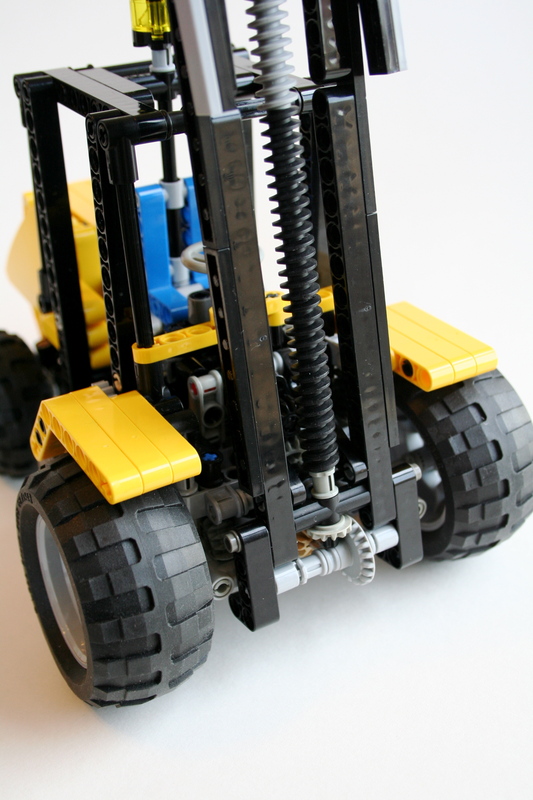 I wanted manual functions, including a working fork tilt and dual stage lift, working steering and drive, and a yellow bodywork. I always start with the hardest part of a model. For this model, that was the fork. I wanted to use a dual stage lift as to get the forks to a substantial height. This design would require a chain that would wrap over a moving frame, and connect on one side to the forks, and on the other side to the body. The moving frame would be moved by a screw, thereby lifting the forks. 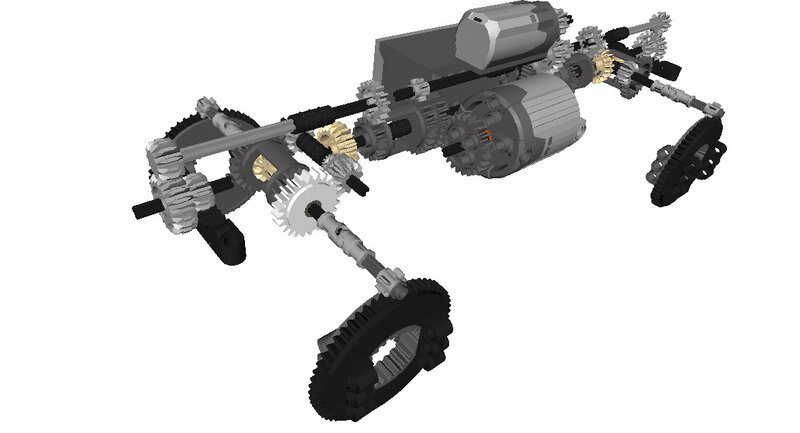 I used a number of worm gears on two 12l axles, connected through the bottom to move the moving frame. 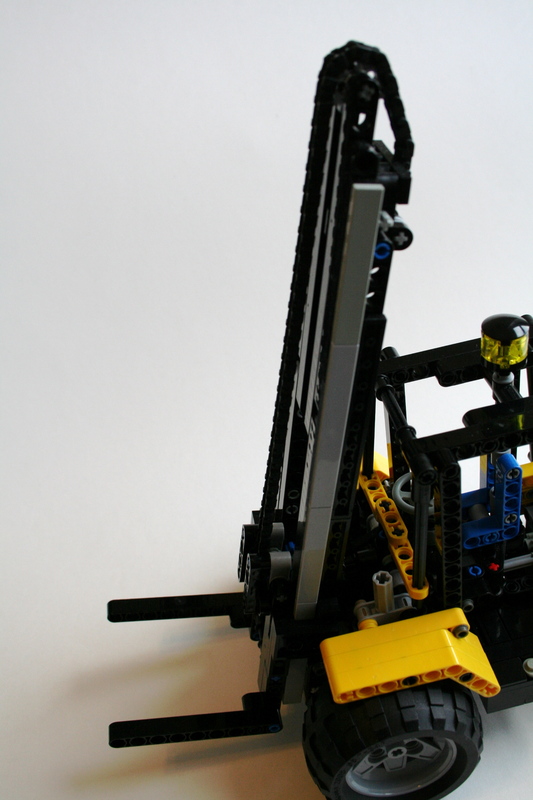 This setup allowed for a pivot point, and a lifting mecanism that would function much like the real JCB 930. The moving frame consisted of two rows of liftarms, and the forks tied everything together between the moving frame and the worm gears. A chain went up and over the full assembly to work move the forks as the moving frame was lifted. It works like this. I then worked on the driveline. I added a 3 cylinder motor in the rear, driven by the front wheels, working to keep the functions out of the way of the fork mechanism. 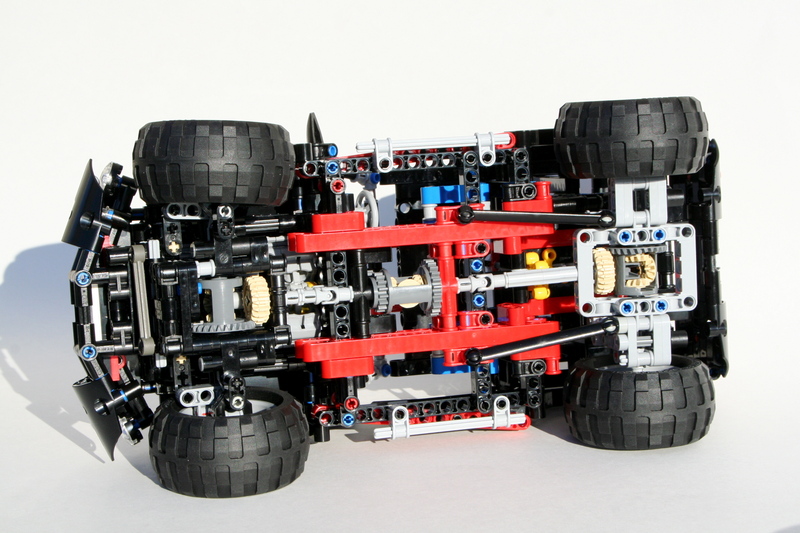 I added a steering axle on the rear, and gave it a pendular suspension setup. This allowed for some stability on uneven ground, while keeping the front wheels planted for the load as it had no suspension. 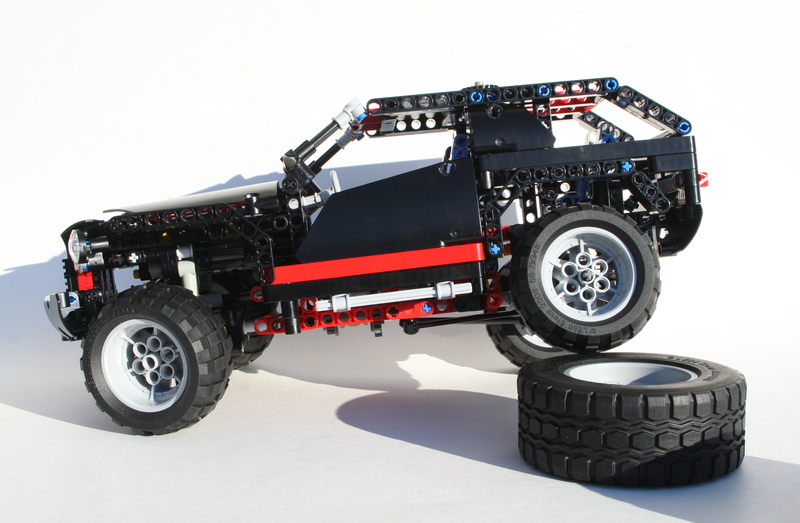 I then built the body after the JCB 930, and as I did, I added a tilt freature to the fork. This feature did not work too well, but it gave me the ability to adjust the pitch of the forks, which we a design requirement. It was not too stable. 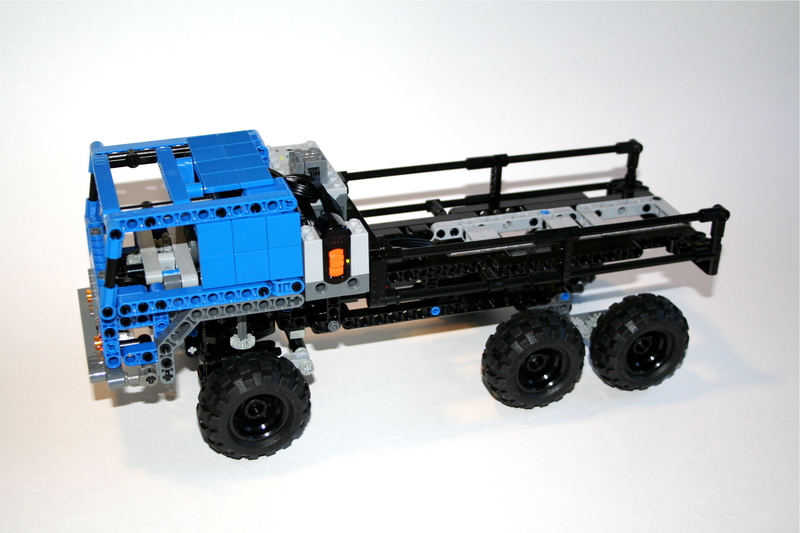 After a little work to the body, and a HOG steering link out the top of the cab, the model was done. The model worked well, particularly the lift feature. I was a little disappointed with the tilt feature, as it was a little too wobbly. 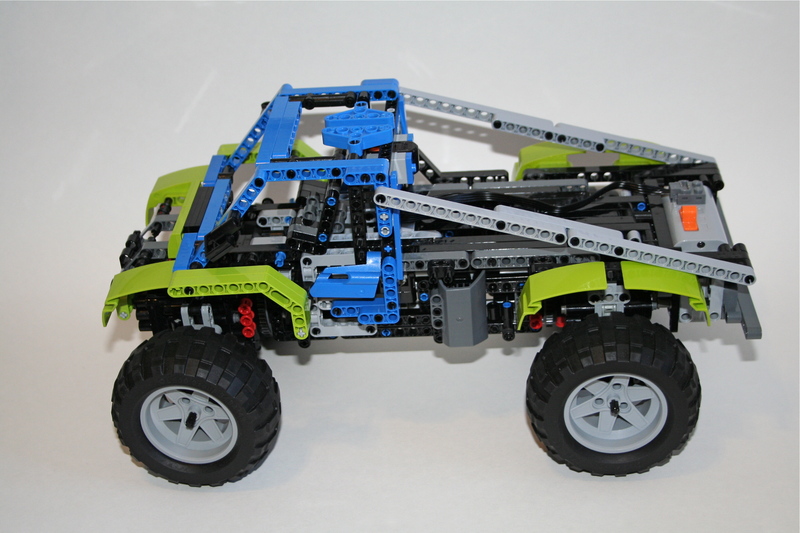 The drivetrain worked well, and the steering allowed for tight corners. 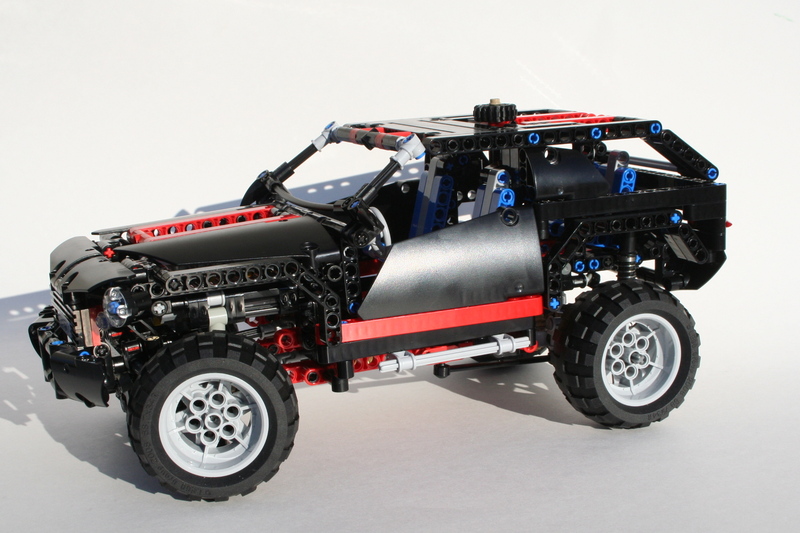 The suspension give good stability, and offered a little bit of off-road prowess. 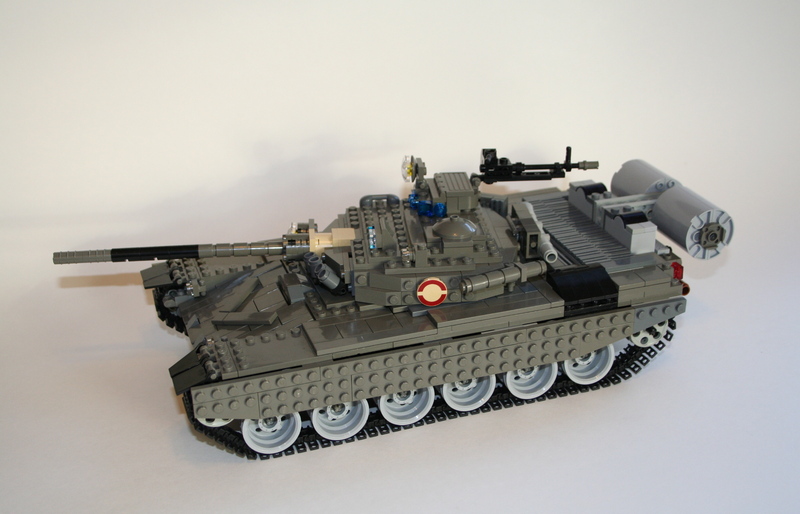 As a child I always wanted a model of the Russian T-72, so I decided to create a version of the tank out of LEGO bricks. 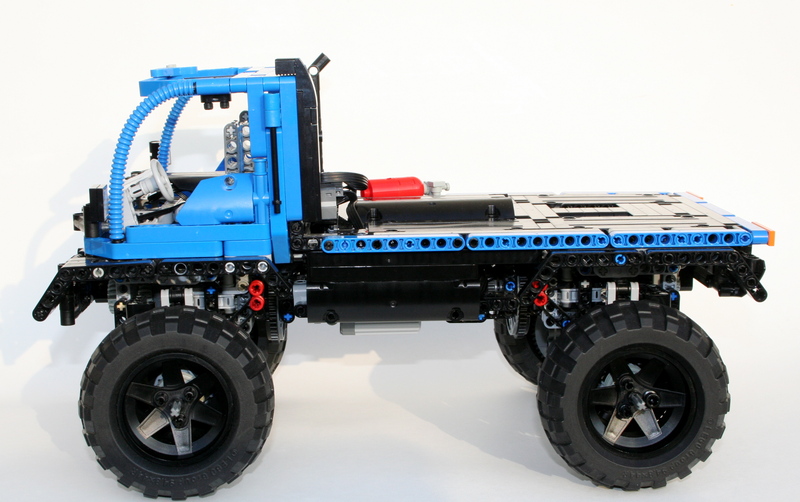 As is often the case, the model started with wheels. This determined the scale, and from there, I was able to determine the rest of the tank dimensions. This gave me very little room for all the functions of the tank. Instructions are available for $5 USD. Model of the popular Russian T-72. View the full gallery here. 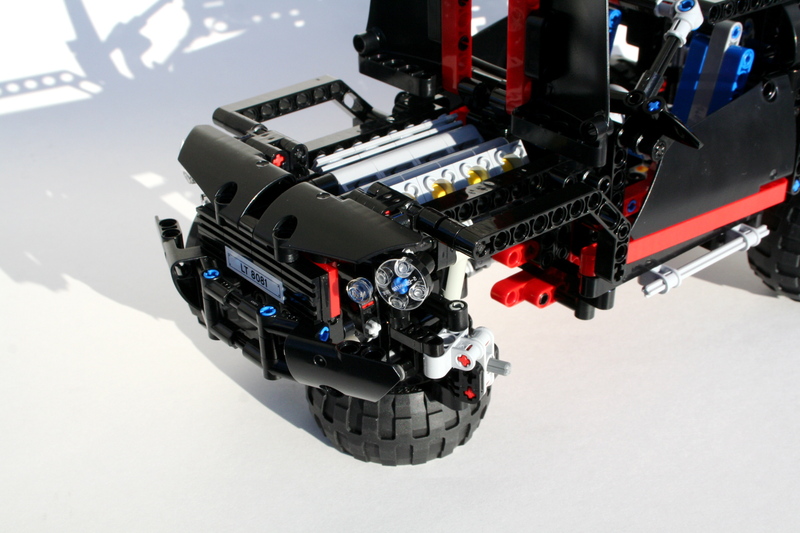 The tank includes independent suspension on all 12 of the drive wheels. 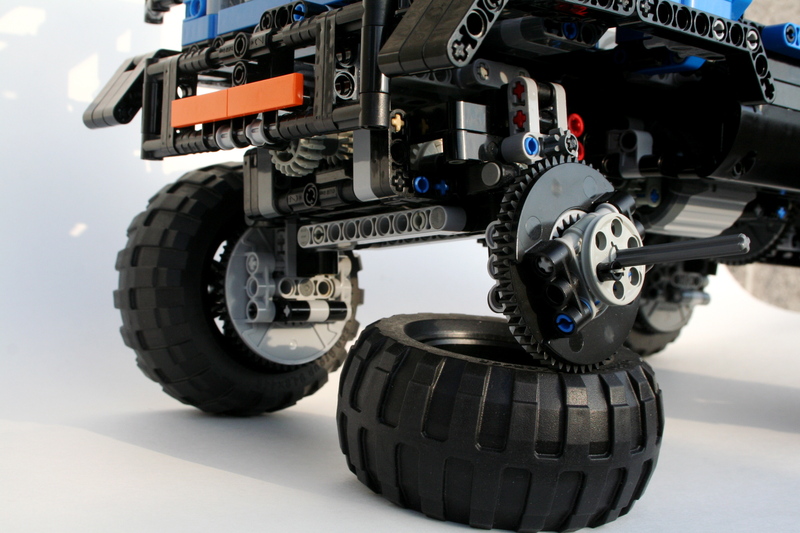 6 are suspended with 6.5 length shock absorbers, 4 are suspended with rubber connectors, and the final two are not suspended, but move freely with the track. 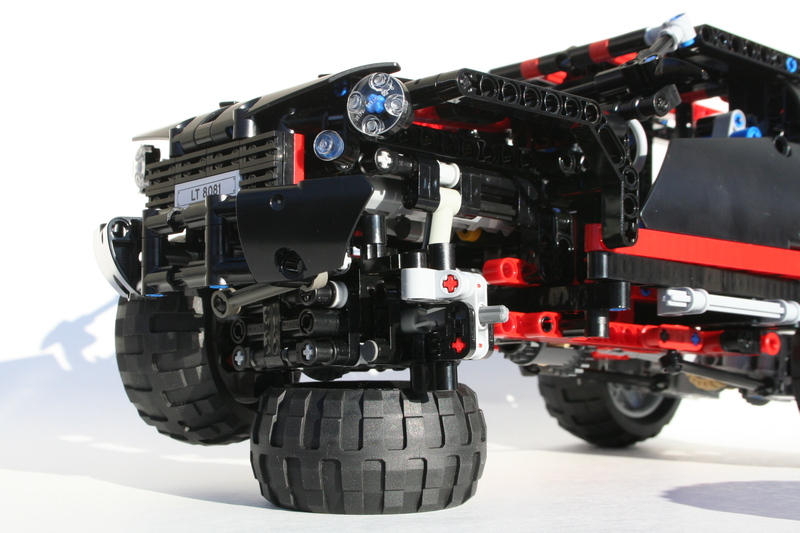 The tracks are driven from the rear by two longitudinally mounted PF M motors. These are connected 1:1, through double bevel gears to the 24z sprockets. 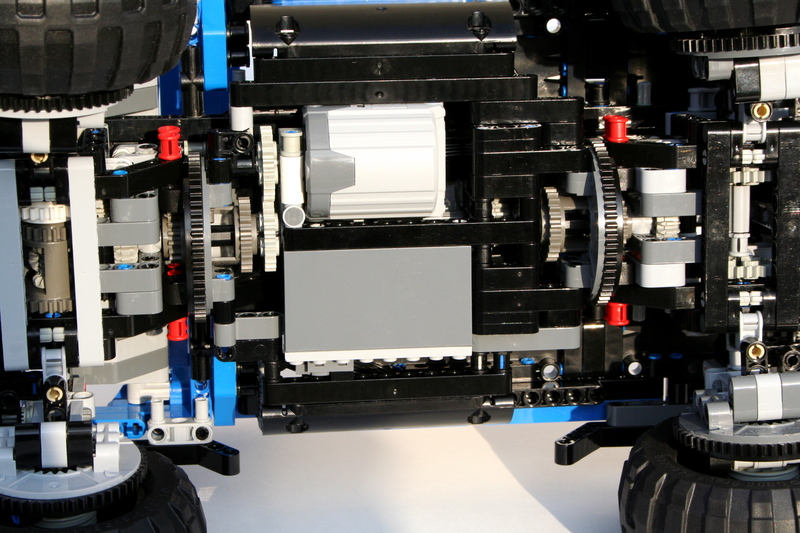 The battery box is place in the front of the tank, with the IR receivers placed over the drive motors. 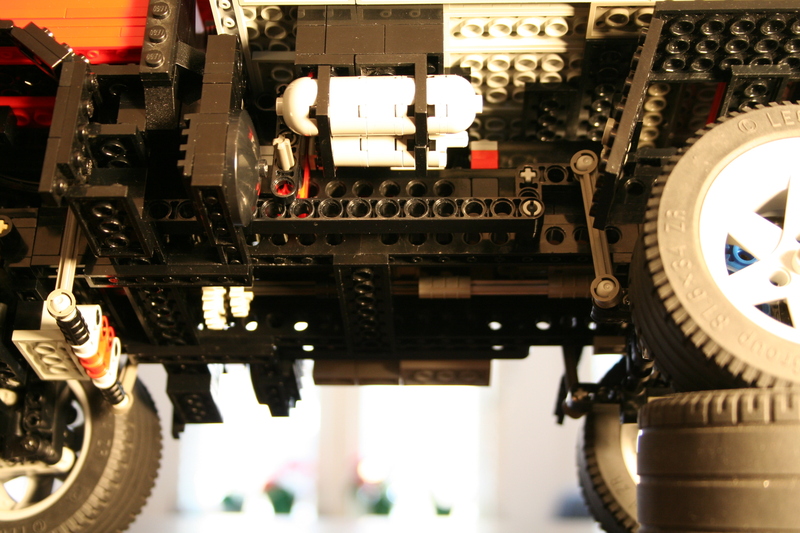 The final PF M is mounted vertically in the turntable, to rotate the turret. It could use another reduction, as the rotation is a little quick as you can see below. I was pleased with the way this model turned out. While the functions work alright, the aesthetics of the tank represented the original well.